The holiday shopping season is off to the races! This can be an especially stressful time, between trying to find the perfect gift for everyone on your list to making sure this holiday doesn’t become a financial burden. Here are some holiday shopping tips so you don’t have to fear looking at your bank statement in January. Your "holiday spending plan", also known as a budget, should include a list of everyone or every occasion for which you will need a gift. That means your significant other, to your in-laws, to even the often-forgotten Yankee Swap at work. Remember to also make a list of gift wrapping supplies and holiday cards; these are holiday shopping expenses that should be accounted for as well. 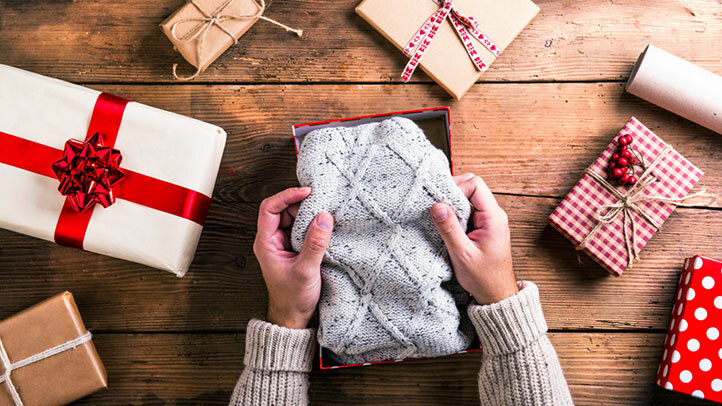 You will be surprised how overlooking the small gifts or festive supplies can have an impact on whether or not you stay on track with your holiday budget. Determine how much you are willing to spend for each person and add up all the items on your list to make sure the total number is one you are comfortable with. The planning doesn't stop there though: make sure you have a plan to track your holiday-related purchases. Your bank's Mobile App is a great way to keep an eye on your transactions while on the go during this busy season. Will you be using different accounts and credit cards to complete your holiday shopping? We recommend using a personal finance management tool, like Money Management, to track all your purchases from one place. You'll be able to set-up a holiday budget goal and monitor your progress towards your financial goal. To learn more about Money Management CLICK HERE. Online shopping and smartphone apps allow you to quickly price check and determine if you’re getting a good price on something. Keep in mind many stores have price-match policies, so use all the information at your disposal to get the best deal. Also, combine big shopping days, like Black Friday and Cyber Monday, with loyalty rewards or cashback offers, such as Purchase Rewards, to get the best deals on your holiday shopping. That's a little something for them, and a little something for you! 3. Focus on what's important. Remember, the holiday season is about spending time with your loved ones, having fun and giving thanks. If the budget is a little tight don’t be afraid to skip the flashy and expensive store-bought gifts. Try making something crafty or baking a delectable dish. Not only will this save you money, but it’s also more meaningful to give something you made with your own hands. This shows you put in the time and effort to make something completely unique. As cliché as it may seem, the saying is true: it’s the thought that counts. Are you ready for the holidays? At Pentucket Bank we offer a full-suite of online banking services and holiday club savings accounts that can help you stay on track with your financial goals. We are a local bank with branches in Haverhill, MA, North Andover, MA, Salem, NH and Hampstead, NH. Send us an email or call us today at (978) 372-7731.